?You are Born Weak and Die Weak, what you are in between those two periods of time is up to you.? Bodybuilding is for tough people. Building lean muscle mass demand gallons of sweat and bearing unbearable pain. But lifting weights is better than bearing the label of being average for rest of your life. For those who believe in achieving the unimaginable, there is GVT, German Volume Training that will end up with giving you a lean body in a matter of mere 8 weeks. So, if you are planning to go for it, you might think about changing your entire wardrobe too! German Volume Training is a form of bodybuilding training that includes a high set count with a moderate number of repetitions. Also known as 10 sets method, it requires professional supervision and apt diet to give the best results. German Volume Training, as the name suggests, was popularized in Germany during mid-1970s. It was used by National Weight Lifting Coach, Rolf Feser, to coach national level weightlifters. Feser coached bodybuilders by training them to complete 10 sets of 10 reps for each exercise targeting major muscle areas one at a time. There is no rocket science behind how GVT aids in gaining huge muscle mass within such a short span of time. It a training that demands to follow 10 sets of 10 rep superset system with a slow tempo and short rest periods. It is a fast way to gain muscles but you need dedication and purpose to stay on the track. In a layman?s language, during GVT the body is forced to adapt to the extreme strain, also known as hypertrophying. This high rep range will recruit unused muscles which lie there as dormant and during GVT they replace the fatigued muscle fibers thus boosting muscle gain. GVT demands fierce workouts that may tire you up. It is based on a work-rest principle that needs to be followed to achieve the best results. 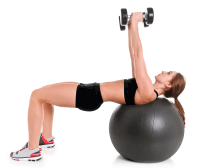 In this method of training, you require completing 10 sets of 10 reps with the same weight for each exercise. By rest, it doesn?t mean that you?ll keep lying on the couch hogging on a pack of nachos! You simply need to do light exercises those are less tiring but will keep your muscles in active mode to prevent soreness. The rest intervals play a vital role in executing GVT effectively. The minimum amount of interval between two sets should be 60 seconds and should not exceed 90 seconds. To keep a strict check on the intervals, you can keep a stopwatch handy. When performing any exercise in sequence, an interval of 60 seconds is recommended and during supersets, an interval of 90-120 seconds is recommended. Tempo: It is the rate or speed of doing any activity. For exercises including long-range movements, use 4-0-2-0 tempo and for short range movements, it is recommended to use 3-0-2-0 tempo. Overload Mechanism: Once you are on par with 10 sets 10 reps, you need to increase the weight on the bar by 4-6%. 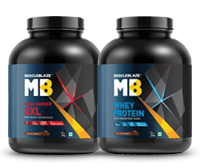 This will maintain the process of hypertrophy resulting increased mass. These were the basics and mechanics of GVT. That what is needed most to keep your GVT on track is your diet and nutrition. Bodybuilding is a serious thing and you need to watch what you eat. Although rice is a high carb food, brown rice adds as a beneficial food as it digests very slowly. This factor enhances its quality as it provides energy up to long hours. Consuming brown rice as supper prevents overnight muscle loss and aids in faster recovery. Milk is a complete health food as it contains whey, casein, and glutamine. Prefer consuming organic milk as it has 70% more omega-3 fatty acids content. A rich source of Trimethyl glyceride, beets are one of the best superfoods that boosts liver and joint repair and aids in gaining muscle strength. These offer a good number of antioxidants and folates which boost the formation of new cells and help eliminate free radicals. It is a slow digesting carb and rich in protein content as well. Consuming the recommended amount of Quinoa helps in energy spike and aids in strength and endurance. It is a milk product and contains a whopping amount of protein, 20g approx. and fewer carbs. It boosts the immunity and strength. It contains lower levels of unhealthy fats and contains a good amount of omega-3 fatty acids which aid in protein synthesis and keeps the liver and joint functions in check. You can also consult a nutritionist to get to know about food staples you need to consume during GVT. It may vary from person to person as per their weight, BMI, and BMR. We often cook food to add some taste or to bring it to an eatable texture which may destroy a major nutrient ratio in those foods. Also, that much of nutrients need to be broken down into simpler forms so that they can get back to action which takes time and loads of energy by the body. To provide our bodies with a powerhouse of nutrients at an easy go, we need to consume fitness supplements which are developed to enhance the lean muscle gains. Here is a brief about the kind of supplements those are required during an intense bodybuilding like GVT. Carnitine: It is a vital supplement as it releases free forms of amino-acids those act as powerful fat burners. Eliminates free radicals from the body strengthening the immunity and boosts muscle recovery post workout. BCAA: Branched Chain Amino Acids are very important as they release amino acids that help replenish muscle cells, amino acids levels in cells, and reducing catabolism. The instant energy giving electrolytes in BCAA keeps you brimming throughout the workout. Fish Oil: Rich in omega-3 fatty acids, this helps eliminate bad cholesterol and provides good fats to boost cardiovascular functions. It supports muscle synthesis by restricting muscle breakdown. Eating well and exercising as per training schedule is not enough, what matters most to get results of GVT is dedication and focus.